The Detroit Lions are traveling to the Lambeau Field looking to avoid the fifth defeat in six games but it’s not going to be easy against the divisional rivals who are hoping to end the season with a win in front of their own fans. On the other hand, the Green Bay Packers responded to a three-game losing streak with two victories in the last three games and they are hoping to get revenge for a loss to the Lions earlier in the season. Detroit is in a poor form lately as they suffered seven losses in the previous nine games including the last two to the Buffalo Bills and Minnesota Vikings. The Lions played relatively well in the first half as they scored nine points but it turned out to be all from them as the Vikings kept them off the scoreboard in the second 30 minutes, winning the clash, 27-9. Both Detroit’s rushing and passing were pretty much toothless in this one as they recorded 86 and 161 yards, respectively, which is below their season average, while they ended the tilt without scoring a single touchdown. Kenny Golladay led the Lions in receiving yards (58 on six catches) but he missed practice sessions this week due to a chest injury and might not be able to face the Packers, which would be a huge blow for Stafford and Detroit’s passing game. The visitors also have problems at the back as the defensive back Quandre Diggs is suffering from a back injury and could be sidelined for the game with Green Bay. Matthew Stafford is completing 66.3 percent of his passes for 3511 yards with 19 touchdowns and 11 interceptions for the Lions. Stafford was quite ineffective in a loss to the Vikings as he threw for 116 yards on 18 completions and could struggle again if his preferred wide option Golladay is forced to miss this game. In case the receiver is ready to go, Stafford should be good enough for 200+ passing yards against Green Bay’s defense that allows 232.0 yards to the opposing receivers. Green Bay bounced back from a divisional derby defeat to the Chicago Bears with a 44-38 overtime victory over the New York Jets, in one of the most exciting duels of the last week. 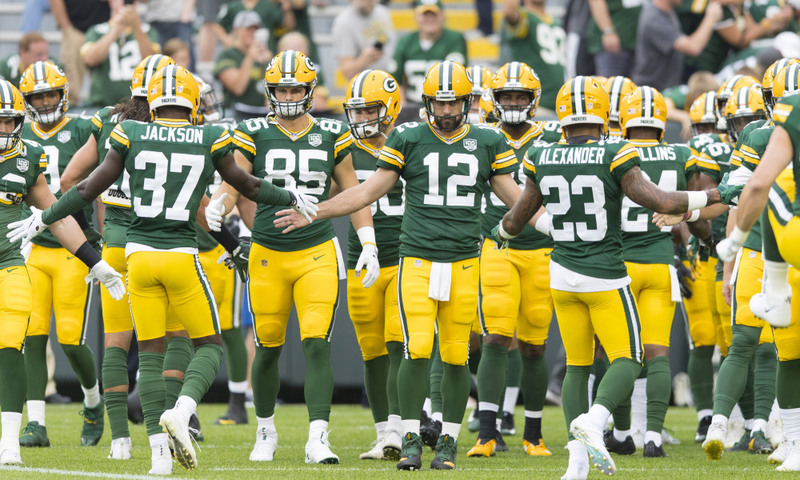 The Packers were down 21-7 and 35-20 at the end of the third quarter but Aaron Rodgers exploded in the final 15 minutes and even put his team up by three; however, Jason Myers’ 33-yard field goal with only 17 seconds to go sent the game to overtime. Rodgers connected with Davante Adams for a touchdown in overtime to hand the Packers a tight victory. Green Bay totaled 540 yards in opposite to New York’s 370 and had 12 more first downs than the hosts (35-23), while the Packers destroyed the Jets through the air, recording way more yards (442) than the season average of 273.9 but also added three rushing touchdowns. Aaron Rodgers is completing 62.3 percent of his passes for 4416 yards with 25 yards and just two interceptions for the Packers. Rodgers had the best game of the season in a win over the Jets as he threw for 442 yards with a couple of TD’s but he also contributed with two rushing touchdowns on five carries to provide a spark in the fourth quarter. Rodgers could face trouble in a tilt with Detroit as his starting wide receivers (Davante Adams and Randall Cobb) missed Wednesday practice, while tight end Jimmy Graham also didn’t participate due to knee and thumb injuries. Green Bay won nine out of the previous 14 H2H encounters but Detroit won the last three, while the Packers were victorious in eight out of the past ten meetings at the Lambeau Field. Favorite is 20-7 ATS in their last 27 meetings and the Lions are 2-5 ATS in their previous seven duels in Green Bay, and although both teams are experiencing losing seasons, this rivalry clash has a big significance for them. The -8 spread is a tricky one as I am sure the Packers will win by at least a touchdown but considering Detroit’s poor offense that is averaging only 19.5 points per contest and the problems they have in the offense lately, I am backing Green Bay to cover the spread here. The total is set at 44 and it’s obvious that Detroit has plenty of offensive issues at the moment so I am not convinced they can score more than 14 or 17 points in this one. Green Bay has problems of their own and in case Rodgers cannot count on Adams and Cobb, we could see more punts and failed 3rd down conversions. I am going with under because under is 6-0 in Lions last six games overall; under is 5-0 in Lions previous five vs. NFC opponents, while under is 4-0 in Lions last four games following a straight up loss.